China topped Asia’s equities markets in 2014. Who will be the winner in 2015? What a difference a year makes. After Abenomics powered Japanese stocks to a world-beating 51 percent gain in 2013, this year it has been China’s turn to claim the mantle of Asia’s top bourse. Data compiled by Australia’s CommSec has revealed that Argentina was the world’s top stock exchange in 2014, closely followed by China, with India ranked fourth, Pakistan eighth and Sri Lanka 9th among the world’s top 10 highest performers as of December 22. 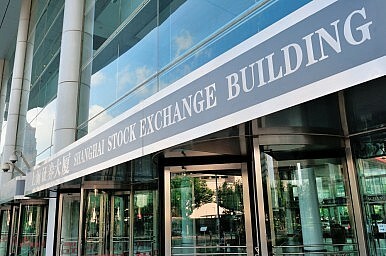 On December 26, China’s benchmark Shanghai Stock Exchange Composite Index closed at 3,157, up 54 percent for the year, while Argentina’s Buenos Aires Stock Exchange Merval Index was at 8,373, up 55 percent. India’s S&P BSE Sensex Index was at 27,241, up 31 percent for the year; Pakistan’s Karachi Stock Exchange KSE100 index was at 31,993, up 33 percent, and Sri Lanka’s Colombo Stock Exchange index was at 7,309, up 27 percent, according to Bloomberg data. At the other end of the scale, Russia took the gong for the world’s worst-performing equity market, down 40 percent as of Friday amid falling oil prices, international sanctions over Ukraine and the slumping ruble. Russia also had the weakest currency, down by 69 percent in the year to December 22. Argentina’s strong stockmarket performance was remarkable in the face of hyperinflation and another debt default by the government, while the solid gains by China’s bourse follow a multi-year bear market, reflecting monetary stimulus from Beijing and a switch by Chinese investors to stocks despite poor recent economic data. Societe Generale reportedly has nominated China as its preferred Asian stockmarket, although MarketWatch’s Craig Stephen has pointed to the risk of Beijing being forced to weaken its currency in the face of rising U.S. interest rates. The Indian market’s gains are indicative of investor confidence in newly elected Prime Minister Narendra Modi, with an improved economic outlook also assisting Pakistani and Sri Lankan stocks. Sri Lanka is expected to cut its sales tax and reduce its budget deficit next year to its lowest level since 1977, helping buoy investor sentiment. For Japanese investors though, 2014 has been somewhat of a disappointment after the previous year’s strong gains. As of December 26, the benchmark Nikkei Stock Average was at 17,818, up 11 percent for the year. The Japanese bourse slumped to the 14,000 level during the first half of the year, but rebounded after the Bank of Japan’s latest round of bond buying, including exchange-traded funds. Among last year’s highest-performing world stockmarkets, only Venezuela (ranked first in 2013 with a 452 percent gain) and Pakistan (ranked 10th, up 32 percent) have placed among the top 10 again this year, showing that last year’s winners rarely repeat. For Asian investors, the best stock of 2014 was Hong Kong-based solar panel maker Hanergy Thin Film Power Group, up 249 percent, while Australian iron ore miner and steelmaker Arrium was the worst at negative 89 percent, according to a December 23 Bloomberg report. Looking ahead, commentators have identified India’s market as among the likely winners following its recent bull run. “There has long been a saying that China’s economy grew because of its government, while India’s economy struggled to grow in spite of its,” Singh told the Sydney Morning Herald. Improved consumer and business confidence since the installation of the Modi government has spurred increased investment in Indian stocks, a trend that is set to continue, Singh said. Brokerage BNP Paribas has tipped India among its top Asia-Pacific performers for 2015, along with the Philippines, South Korea, Taiwan and Thailand. However, it has placed a “neutral” rating on China and an “underweight” on Hong Kong, Indonesia, Malaysia and Singapore. Japan is also expected to bounce back in 2015, with the Nikkei potentially pushing through the 20,000 level on the back of an improving Japanese economy and weak yen. Analysts surveyed by the Nikkei Asian Review have forecast a high of 20,958 and a low of 16,625, with construction companies and retailers benefitting from higher domestic demand, while automakers and other exporters gain from the cheaper currency. Foreign investors will “put more money in Japan than they did in 2014 on the back of economic stability and expansion,” Nomura Securities’ Takashi Ito was quoted saying. For Australia, CommSec has forecast the benchmark S&P/ASX200 index to reach 6,100 by the end of 2015, up around 13 percent compared to the past year’s relatively poor 7 percent gain. But with lower oil prices and more cheap cash from central banks, stock investors can expect solid gains in 2015 generally across global markets, according to a recent Reuters survey of analysts. “The sharp drop in oil prices reinforces the scenario of global growth above 3 percent in 2015 while central banks will continue to flood the market with liquidity: two positive factors for stocks,” Amundi’s Eric Mijot said. Asian stock buyers will be hoping the trend continues in the Year of the Sheep. On behalf of Pacific Money, happy investing!